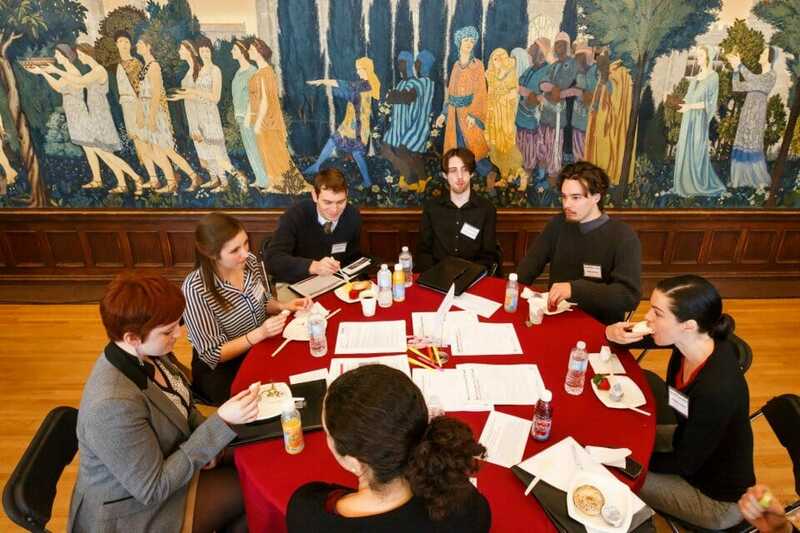 UChicagoGRAD supports you as you explore careers in academia, industry, nonprofits, and government. 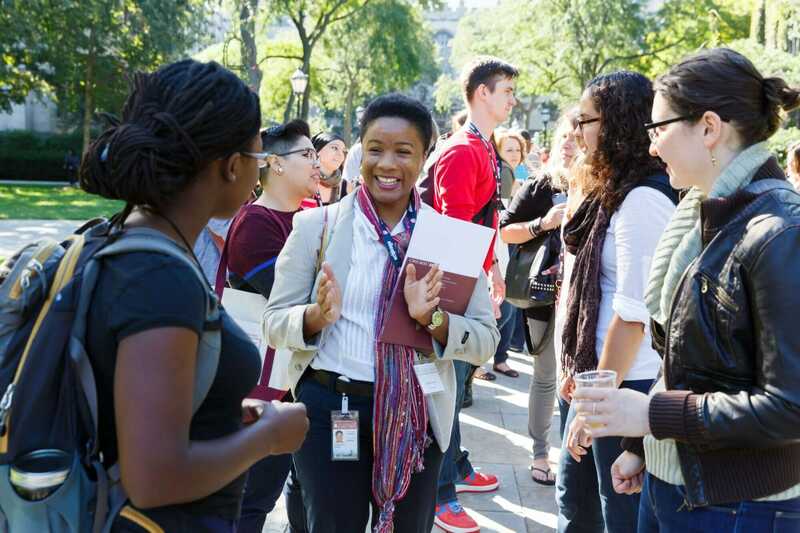 We understand that graduate students and postdocs consider multiple personal and professional factors when evaluating potential career paths. 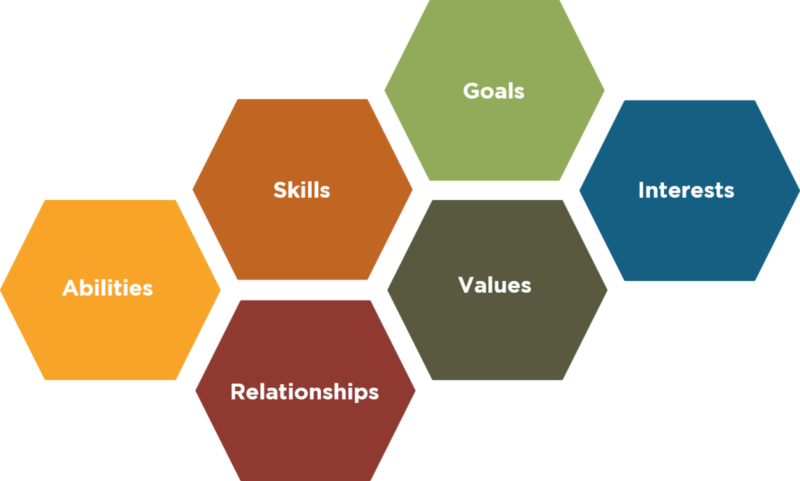 These factors, as outlined in the figure below, can include but are not limited to abilities, goals, interests, relationships, skills, and values. Everyone defines and prioritizes these categories differently. 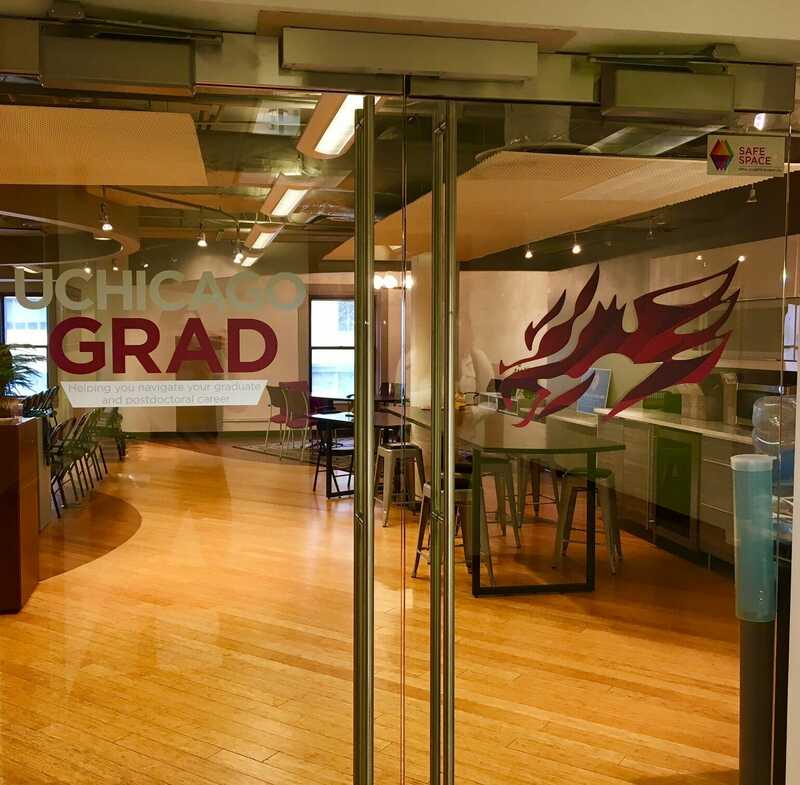 The UChicagoGRAD career development team utilizes a highly individualized and holistic approach by taking into account your specific needs and considerations as an individual during the career exploration process. 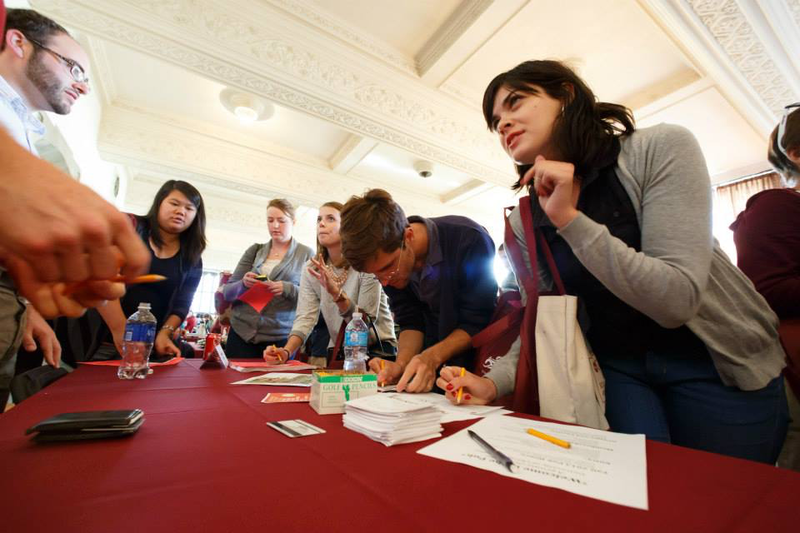 Meet with a UChicagoGRAD career advisor to discuss your options, and receive practical next steps to guide you through the career exploration process. Data Science & Analytics Created with Sketch. Financial Services Created with Sketch. Government and Policy Created with Sketch. Higher Education Administration Created with Sketch. Industry Science Created with Sketch. Instructional Design Created with Sketch. Management Consulting Created with Sketch. Nonprofits and NGOs Created with Sketch. To evaluate whether a career will be fulfilling in the long term, you should first ascertain what characteristics of a job will bring you satisfaction and what factors are most important to your everyday life. 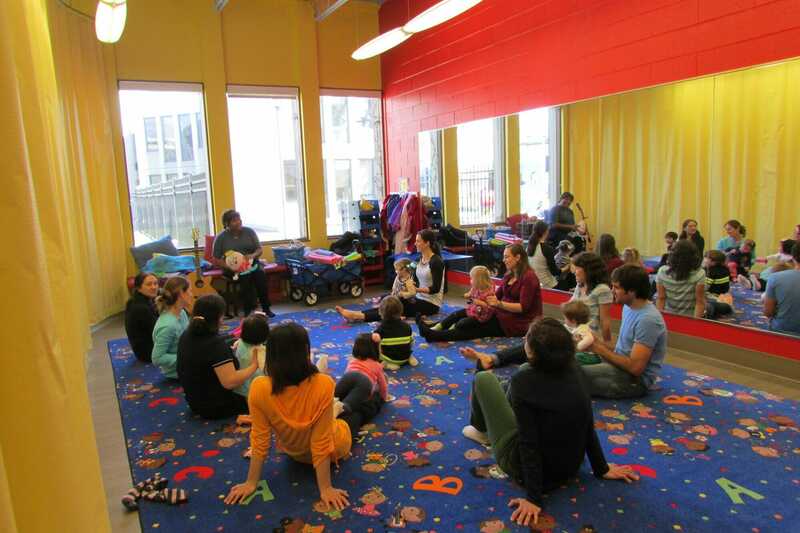 Self-assessment exercises can help you identify these factors which translate into your skills, interests, and values – all of which are important to understanding your work style, optimal work environment, and can illuminate your overall career goals. Schedule a one-on-one appointment with a career advisor to discuss self-assessment and create an actionable, strategic plan. Graduate Students, Postdocs, and Recent Alumni: Log in to GRAD Gargoyle as a “student/alumni” and select Versatile PhD from the Shortcuts menu on the right hand side of the screen. Other Alumni: Sign in or register for an account on uchicagoalumni.org. Once you are logged into the Alumni Community, follow this link to sign up. Please contact Mike Tessel with any questions. Once inside Versatile PhD, an on-screen notification will confirm an upgrade to your account that unlocks every resource on the site. After this first visit, you will be able to log in directly to the Versatile PhD website for future visits and retain premium access.